May 26, 2017 By Chelsey 11 Comments This post may contain affiliate links. Read my disclosure policy here. 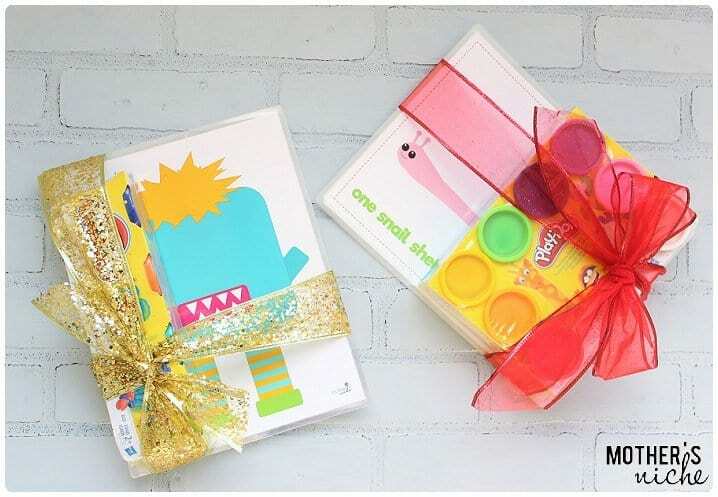 I am so excited that so many of you have loved my original Play Dough busy bags. 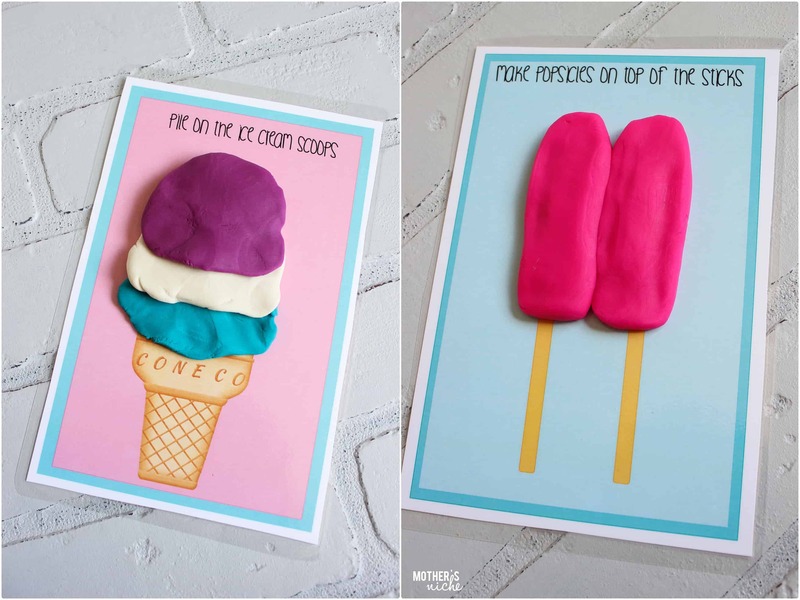 Check the original play dough printables here. 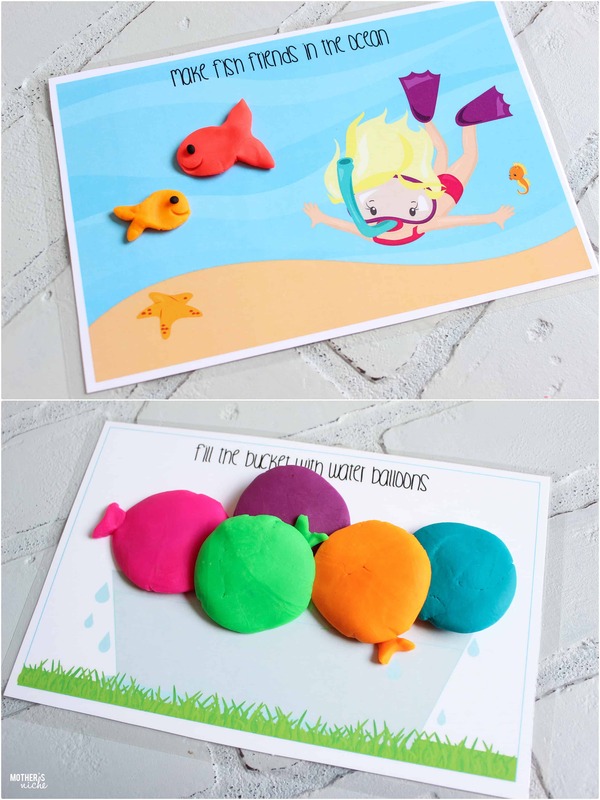 I thought it’s finally time that I would make more play dough mats for you all….how does that sound? This time I made them with a SUMMER theme in mind. All of the different sheets represent thing we do as a family over the summer. I hope they relate to your family too. Here is a sneak peek to the fun you will be having with these cuties! 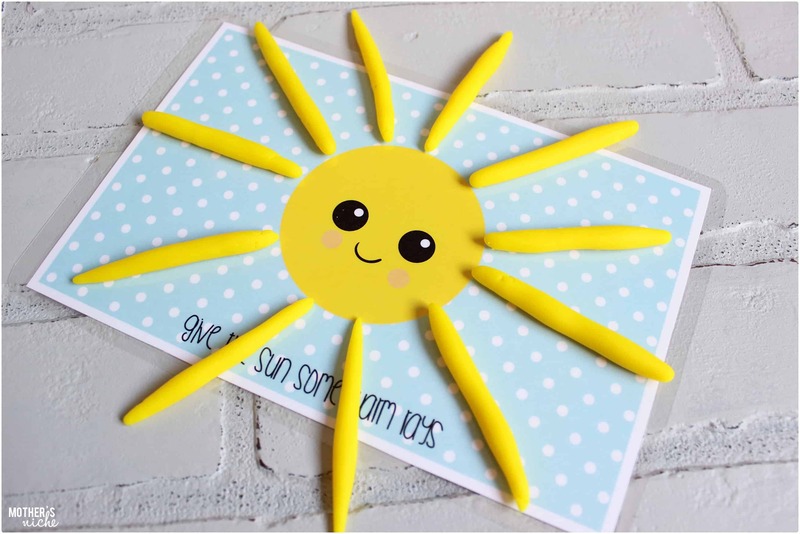 Give the sun some warm rays. Doesn’t that little face make you so happy! Love this little guy. One of our family’s favorite places to go is the county fair each summer. It is such a fun environment. Look at those big eyes! This little guy is hanging around at my happy place. Choose your favorite flavors and tower them up as high as you want! YUMMY! 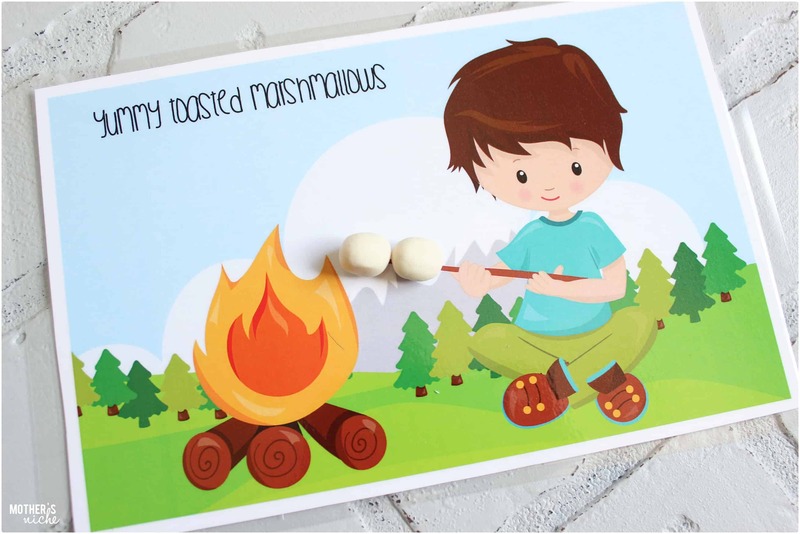 Camping and Roasting Marshmallows for S’Mores are a Summer tradition for us! This boy reminds me of my cute little brown haired boy! 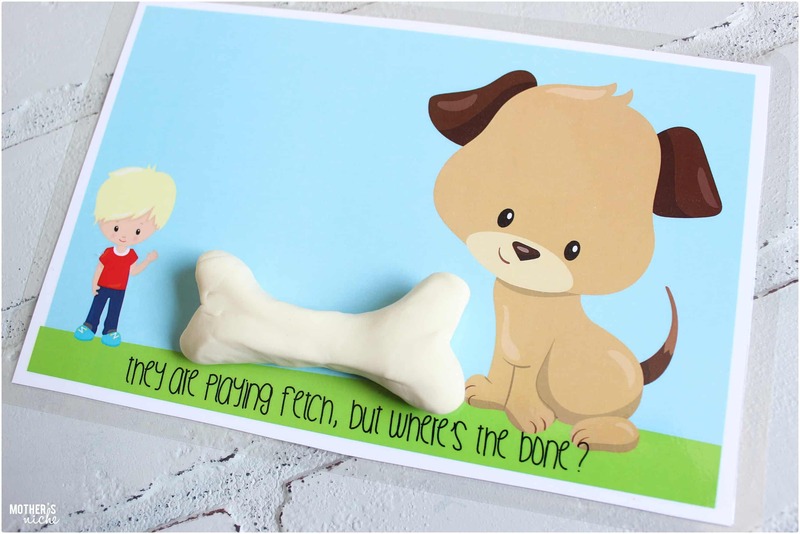 They are playing fetch, But where’s the bone? Playing at the park with your best pal is so much fun. I love the endless options for fun at a good park. Don’t feel limited to only fish. What else lives in the deep blue? Make an octopus, jelly fish, dolphin, whale, turtle. Make any and all the fish friends you can come up with. We always start the summer with a neighborhood water fight on the last day of school. We have had this tradition since I was in 2nd grade. Yep, even in high school. Make a few or make a lot. 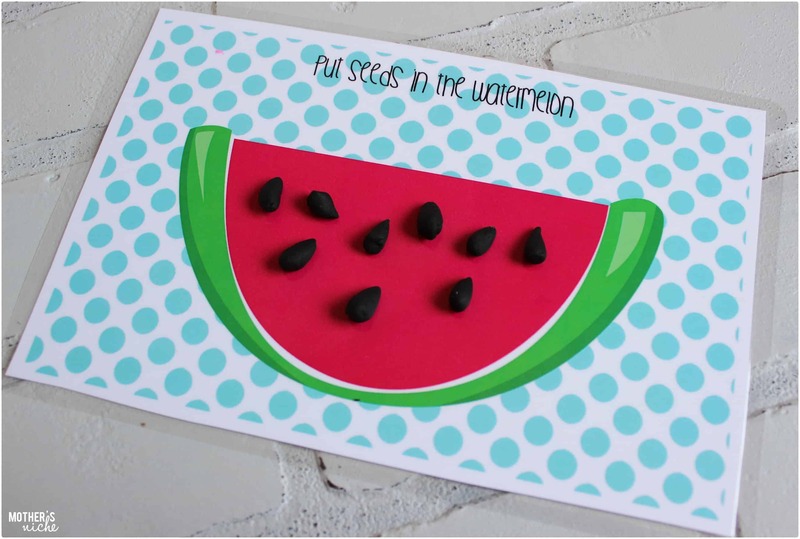 Watermelon is my favorite! I would be lying if I said I have never cut a big watermelon in half and ate the whole delicious bowl of deliciousness one spoonful at a time. Even crazier, it doesn’t take me that long. haha. Well, you got a really good view of what my summer is like with my family. What do you do together? And what do you think the next Play Dough theme should be? 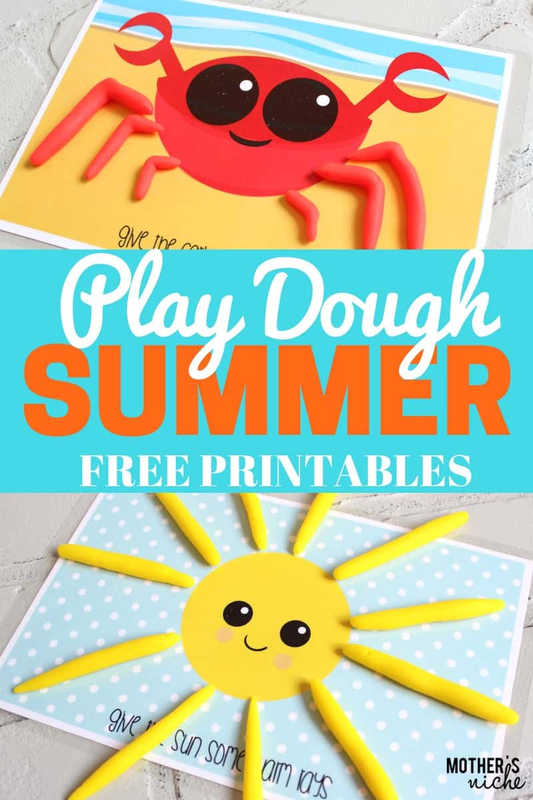 Get your PLAY DOUGH BUSY BAGS by clicking HERE! Or, get them for FREE in our Facebook Group if you are following us on Instagram and Pinterest. Are these available for purchase only?? I can’t seem to find it to download. Thank you!! I keep trying to subscribe but never receive an email to confirm. Love these! Is there a link to download them? Having issues downloading as well. Put my email address in and nothing comes up. 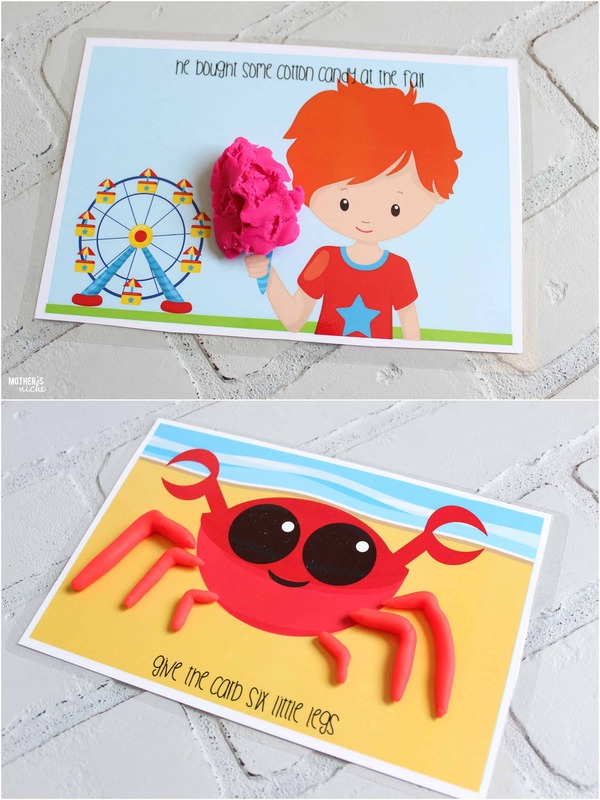 I would love to print these off for my kiddos. It says free, but there’s no link to download? How do you download?? No matter what I click on it just keeps taking me to new pages with the same stuff. I’d love to print these there are great! How would I go about downloading these sheets? I follow on instagram and I signed up on facebook, just waiting to be accepted.